Stream anime episodes online for free, Watch One piece Episode 19 English version online and free episodes. 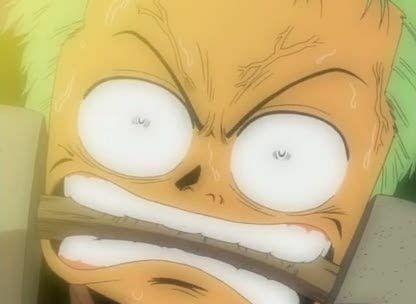 Anime Episode guide One piece Episode 19 English dubbed Zolo’s Pledge While Usopp & Luffy fool around with the ship’s cannon one day, Zoro dreams about his childhood. He had joined a dojo after losing to the teacher’s daughter, Kuina. Despite training and growing stronger, he still was unable to defeat her. When she told him that he would one day defeat her as she grew weaker, Zoro grew upset over her defeatist attitude, and made her promise that one of them would be the world’s greatest swordsman. She died soon afterward, and Zoro dedicated himself to fulfilling the promise. Back in the present, a bounty hunter attacks the ship, but Zoro recognizes him.